The explosion of social networks over the past decade has made it difficult for marketers to know where to concentrate their social media marketing efforts. There’s no magic bullet that can reach all audiences in marketing and that holds true for social media. Finding the right network for an organization depends on the market, the audience, and the message. A new study from Pew Research Center gives marketers a lot of useful new data to work with when making a decision. This article will give an overview of some of the major findings that show what kinds of users go to certain social media networks. A major finding of the study is that while changing landscape of social media has led to more options for individual social networks, 71 percent of adult internet users in the U.S. are on Facebook. This is a 4 percent increase from the previous year which is equally important, because it means that Facebook hasn’t peaked yet. The great news for Facebook is also a clear signal to marketers that Facebook needs to be a part of their social media marketing plans for the near future. Facebook is the number two website in the world in web traffic, second only to Google, according to Alexa rankings. The data from Pew and Alexa make it clear that internet marketing strategies need to include Facebook. However, the study did note that Facebook’s growth with younger demographics has slowed. Among teens, the participation has hovered around 85 percent. While stagnation is never a good thing, an 85 percent adoption rate is sufficient for any marketer who wishes to reach a teenage audience. There’s little reason for anyone to expect Facebook to do better than it already is with that demographic. The Pew study, which was based on phone interviews from 1,800 people in August 2013, has a mixed results for other social networks. For example, the study confirms the notion that women use Pinterest more than men, noting that women are four times more likely than men to use the popular image-sharing network. However, though Pinterest is popular, it doesn’t have the daily following that networks like Facebook and Twitter have. Only 23 percent of Pinterest users in the study reported going to the site everyday. LinkedIn showed its usefulness for business marketing in the Pew study. Though LinkedIn is only used by less than 25 percent of the US adult internet population, it compensates for it by who makes up that percentage. LinkedIn has a more mature demographic. It’s the only network where users age 50-64 are more active than those who are 18-29. LinkedIn usage correlated highly with those with college degree and those with household incomes greater than $75,000. This is a crowd with a lot of business owners, professionals, and entrepreneurs. Three good reason why B2B marketers should include LinkedIn in their social media marketing efforts. Not only is their target audience on LinkedIn, they are in a business mindset when they are on the site. The study also showed the need for marketers to pay attention to the smaller, niche sites that are more popular with the young adults and minorities. Instagram is an example of this as it is becoming more popular with young adults, those in urban areas, and African-Americans. Though by no means a newcomer, Twitter is also popular with the same groups. In fact, there is even some overlap. According to the study, 53% of Twitter users are on Instagram and vice versa. 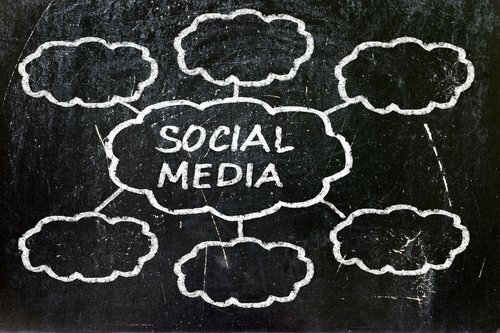 This research gives marketers some much needed guidance as they plan their social media efforts for 2014. While there will be more of the same (Facebook, Facebook, and more Facebook), the time has come to expand social media marketing efforts to include other networks that are growing in popularity. These new networks not only provide inroads to the nearly 30 percent of users who aren’t on Facebook and it provides the opportunity to try different forms of marketing.